So far, the Gears of War franchise has been exclusive to Microsoft’s Xbox 360 console. Going into next generation consoles however, there is always the possibility for change. 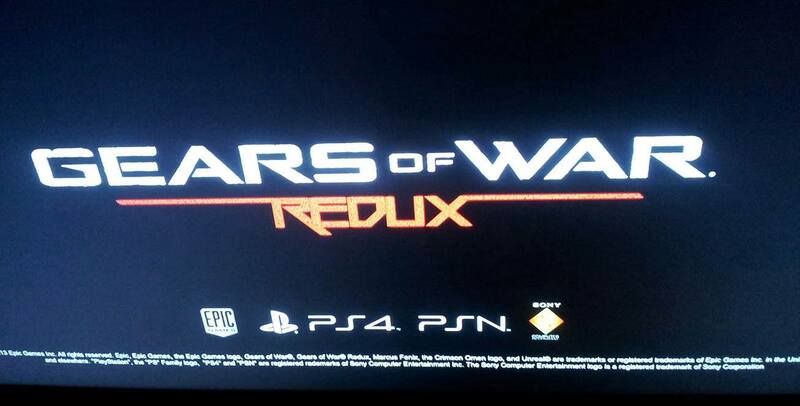 An image has surfaced that was supposedly taken at E3 that contains the game’s title, Gears of War: Redux, with PS4 and PSN listed below. It could be possible that Epic Games is simply planning on bringing a title that will recap the events of the original trilogy before expanding their franchise onto multiple consoles. Though I’m not personally aware of the status of Microsoft’s contract with Epic, we’ve contacted them for an official statement. It would be a hell of a surprise to see one of Microsoft’s most beloved franchises end up on their competitor’s console. Do you think this is at all possible? Let us know in the comments below!